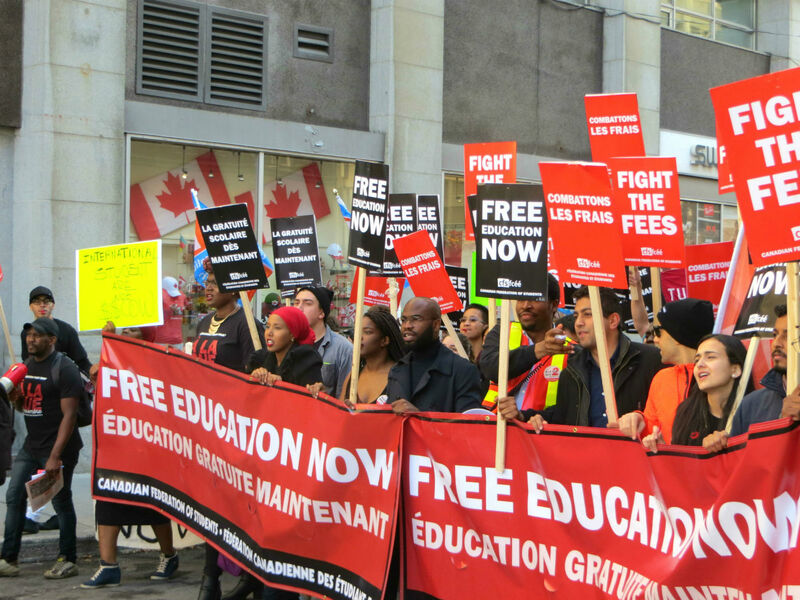 After a three-year hiatus, the Canadian Federation of Students (CFS) organized its national Day of Action on Nov. 2 as part of its campaign for free post-secondary education tuition. The Day of Action is a call by the CFS, asking students and community members to show their support for the campaign to eliminate tuition fees. “We’re not just looking for a reduction; we’re looking for an elimination,” said Samiha Rayeda, one of the event organizers from Carleton University. 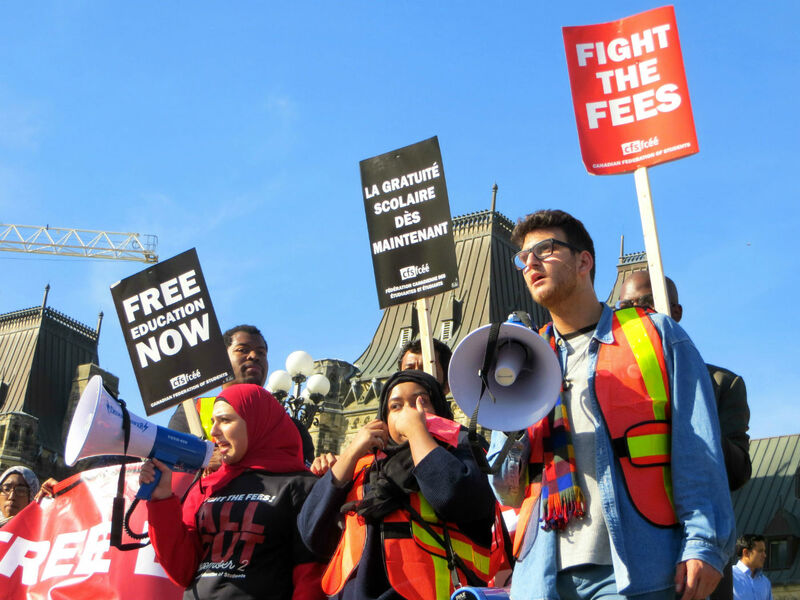 The CFS has long campaigned for decreased tuition fees for students, but this year’s event — the first since 2012 — saw the biggest turnout yet, drew supporters in every province, and saw campaign activities in some form in 34 cities across the country. It also had, like Rayeda said, the added mandate of not just reducing fees, but eliminating them. The campaign has three main demands: to eliminate tuition fees for all, to remove interest fees on existing loans, and to convert loans to bursaries. Rayeda said it was particularly inspiring to see cities like Montreal, where there is no CFS membership, hold events in solidarity with the campaign. She added there were huge turnouts in proportion to what the CFS expected in cities in provinces like Manitoba and Nova Scotia. 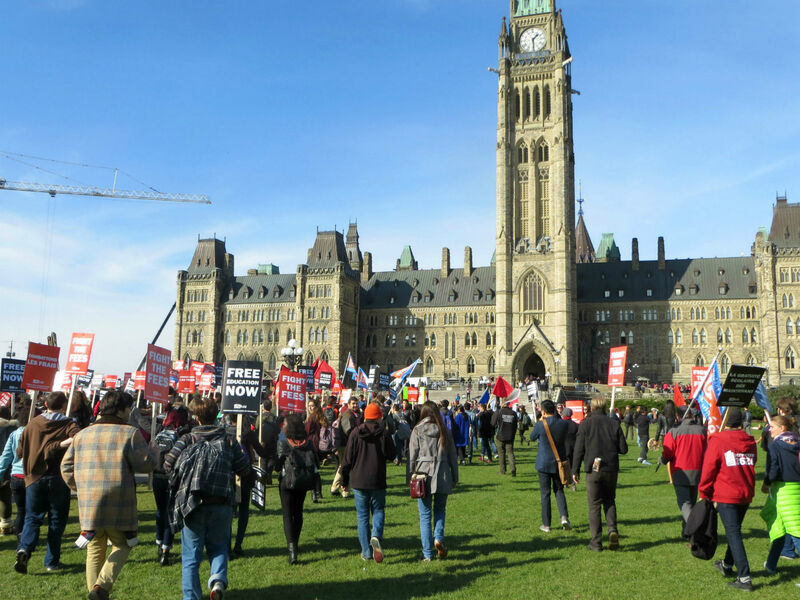 “The Day of Action is a call to get everyone involved, and to take the first step in the campaign, to take to the streets in action to show the government and the politicians that students are ready for a tuition free Canada,” she said. Ontario currently has the highest tuition fee rates in the country. “It’s a dramatic increase in the amount of money that we’re paying,” she added. Some provinces have been making changes. 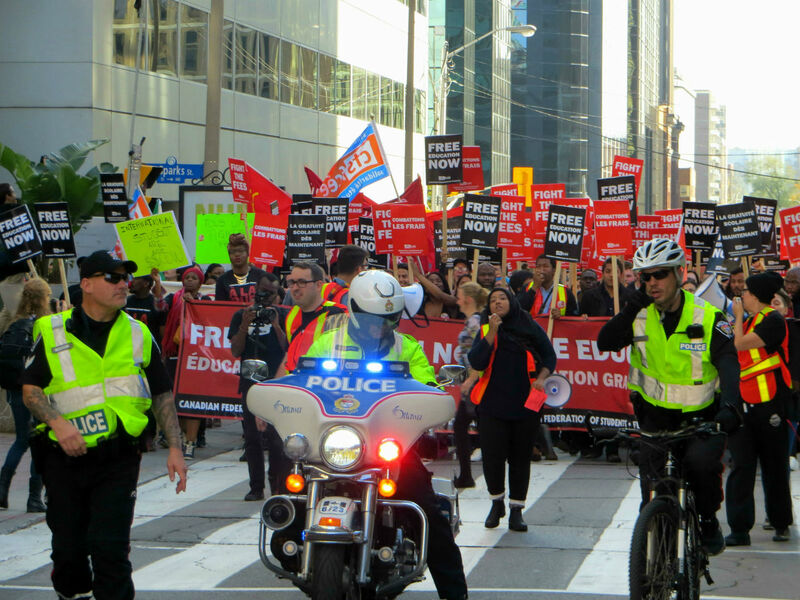 Earlier this year, the Ontario government approved a plan to make tuition free for any student whose household earns less than $50,000 per year, a change that will come into effect in the 2017–18 academic year. 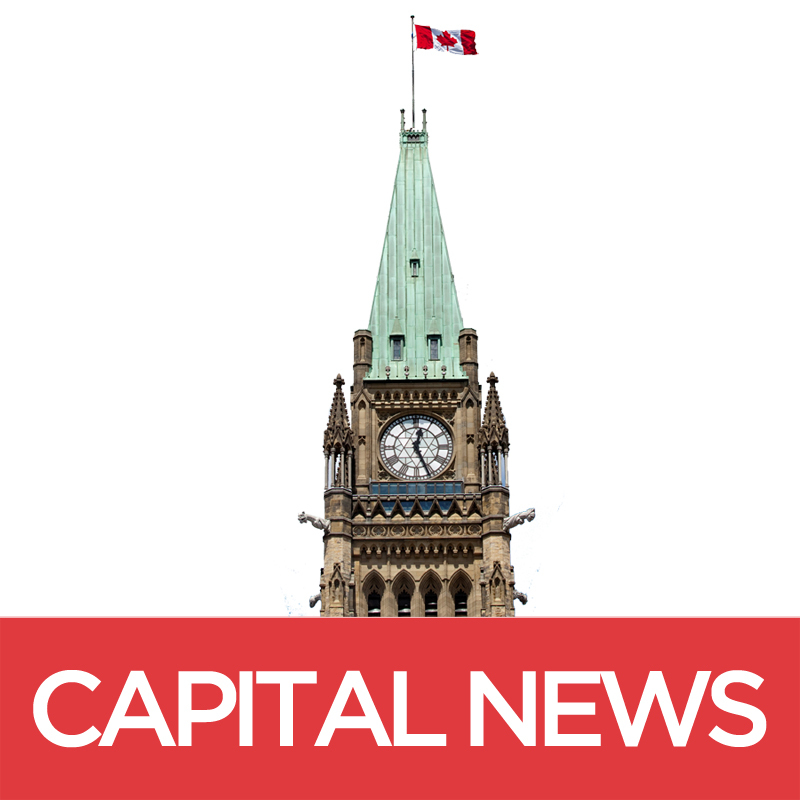 The province’s plan also makes provisions for households making less than $83,000 per year. The government of Manitoba has also shown signs of offsetting high tuition fees by increasing scholarships and bursaries for students. “We’ve seen these successes recently, so that really energizes us to continue doing this, and encourages us to make sure the Day of Action has a huge turnout,” Rayeda said. The chart below demonstrates the percentage increase in tuition fees per province. With Newfoundland and Labrador at the baseline of zero and no tuition increase, dips in the chart for other provinces still show an increase in tuition. Manitoba, for example, went from a 2.5 per cent increase in 2012 to an increase of 1.6 per cent in 2013. The percentage may have changed, but there was still an increase in fees for students. Nick Falvo is a Calgary-based researcher who did his PhD in public policy at Carleton University. He said he became interested in tuition fees when he realized he would not be able to live off the funding given to him to do his doctorate. He said tuition fee hikes stem from a neoliberal attempt in the late 1970s and early 1980s to cut government spending. He said what is more important than the cost of free tuition for Canadian students is the need for a philosophical shift away from spending cuts at all cost. This year’s Day of Action event emphasized the intersectionality of tuition fees and other student issues. Rayeda said issues relating to indigenous students, racialized students, working students, and part time students, are all connected with the campaign. CFS chairperson Bilan Arte said she personally felt the impact of steep tuition fees when she studied political science and criminology at the University of Manitoba. She got involved in the student movement to eliminate tuition fees when she was a student herself, when she said CFS campaigns really spoke to her. Being a racialized student, the daughter of Somali immigrants, and coming from a “very low income” family, Arte said she was always aware of the “natural barriers” between her and her education. 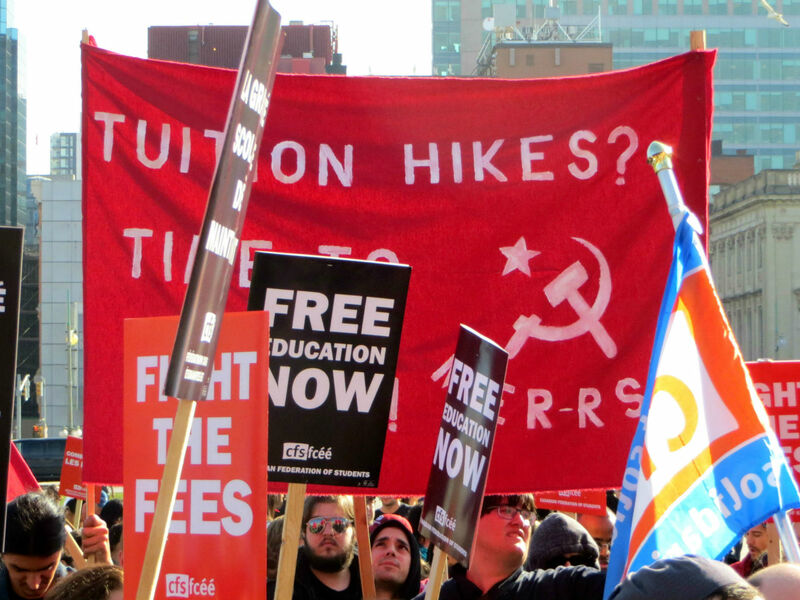 Arte said it “doesn’t make sense for us to try and put Band-Aids on a system that is broken,” but that hopefully supporters of the campaign will show the government that they are ready to be “unapologetic” about demanding free tuition.